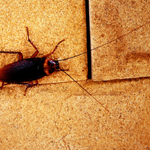 Cockroaches are unpleasant insects and their presence in commercial kitchens is unacceptable and can lead to prosecution. Often these insects live in dirty, inaccessible areas like drains and ductings. At night they become active and have the potential to spread bacteria across work surfaces or contaminate food. 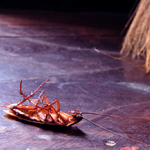 Oriental cockroaches, German cockroaches and the American cockroach are the commonest species of cockroach, and all require professional help to eradicate. 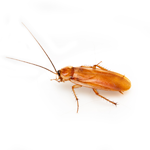 Rokill has teams of cockroach control technicians working in and around Bournemouth, London, Southampton, Exeter, Reading and Portsmouth. 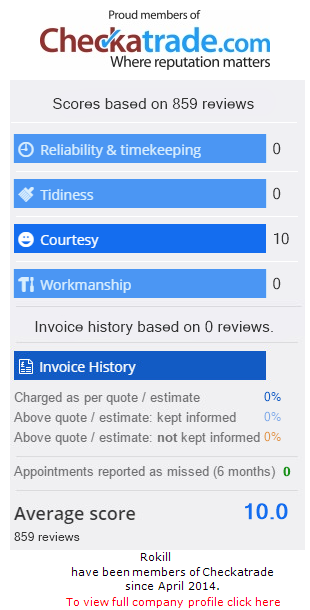 If you think you have an infestation call us today to speak to one of our advisors and receive a free quote. The video below was filmed in a commercial kitchen. The insects are German cockroaches (Blatella germanica) and can occur in large numbers. These insects multiply quickly and the female produces an egg case or ootheca containing on average 32 eggs, the case is carried around attached to the female’s abdomen until it is about to hatch. They like to live in small confined spaces that are warm, often inside ovens, fridges and even inside toasters. They grow to a maximum length of about 1.6cm. 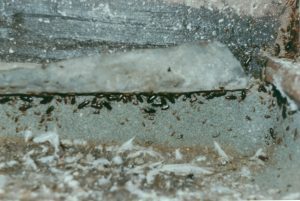 In the video the cockroach can be seen in closeup feeding on a gel bait that we have applied to eliminate the infestation.